Women Speak is having a snow day. I figure if the schools can take off for a dribble and drab of snow then so can I. I'm thinking about calling the local TV stations and having it crawled across the bottom of the screen. Due to inclement weather, Women Speak is cancelled. I bet there would be a lot of head scratching over that one. Okay, the honest truth is that I have a doctor's appointment in the middle of the day today, which means I won't be home and can't respond to comments right away. I like to be here on Tuesdays, but this was the only day I could get in for an appointment. I will probably spend a considerable amount of time sitting there reading a book. I will talk about some things that are on my mind about blogging and about how blogging affects women next week. But for today, I hope you will stay warm and safe. I don't know how it is where you live, but here in Kentucky it is a bitterly cold today. be safe out there and stay warm. It's even cold in Georgia. I need to see what this Women Speak thingie is. 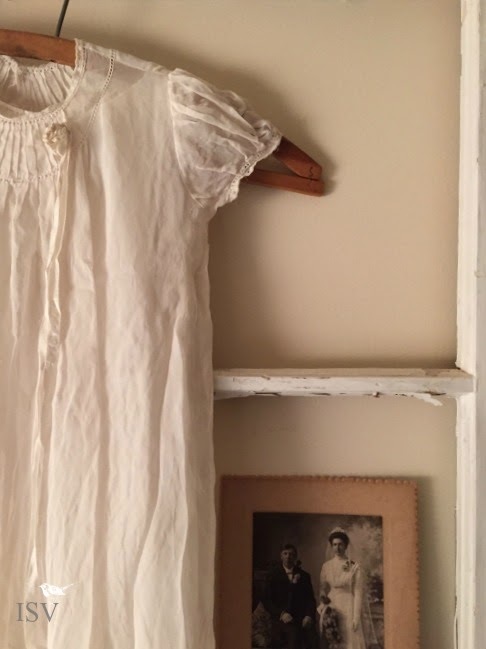 I guess I've been too absorbed in my own life lately. I'll check this out and get back to you. IN the mean time, stay warm and you can stay in those pjs tomorrow all day if you want to. Stay warm and let us know how things go. I enjoy Women Speak so don't do away with it all together! PS We are soooooo cold here in GA today! It's very cold here today but no snow like you have. Hope all goes well for you at the doctors office today. Hope your appointment goes well, Laura, even if you do end up waiting and waiting - but with a good book. :-) It's way cold here too, but we've got a good fire going in the stove. 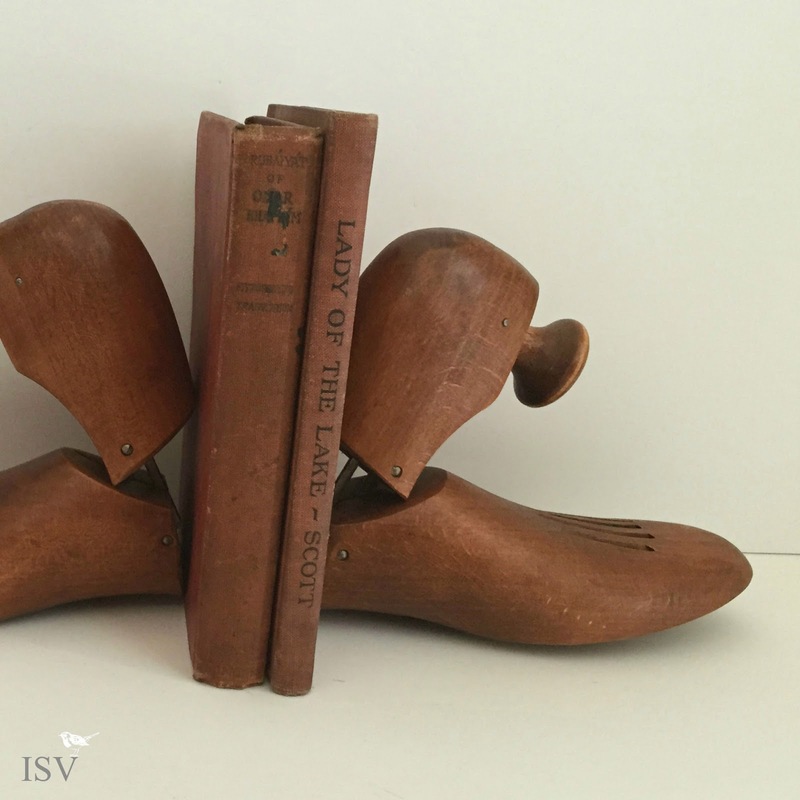 Love your vintage book and shoe form vignette. That is so cool! Hope you get home and stay toasty and cozy. Dear Laura, Stay safe and be careful. It is cold here too. It seems like winter could not wait to drop in. I hope that they have free wifi at your appointment, that always makes the time pass quicker. And snow, my goodness, are you supposed to have snow? We don't even have any yet, and we usually are the first ones to get it in blogging land. 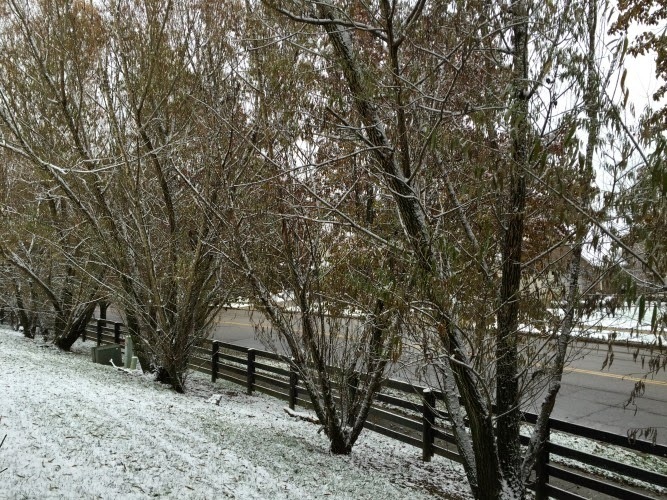 We received a dusting here in my part of KY. Still had school though! Your post made me laugh today! :) It's very cold here in NY too. Stay warm! I hope that you didn't get hammered too badly with the snow.